On August 1, the British film magazine Sight & Sound released the results of their critics poll listing the 50 best films of all time. This project occurs every 10 years and generates serious hand-wringing from movie lovers everywhere. The 2012 poll is the first one to arrive since the massive rise of film blogs, so we've entered a new era of chatter about the list. To be clear, this isn't just a post complaining about the selections. I've decided instead to look at five particular rankings that surprised me (positively or negatively). The top 10 has remained fairly static over the years, but there were some big moves this time. Back in February, I caught up with the three movies from the 2002 list that I'd missed so far: Sunrise, Tokyo Story, and Rules of the Game. All three remain in the current top group, but there's a new blind spot for me in the top 10, Dziga Vertov's Man with the Movie Camera. I'm planning to catch that surprise addition in the near future. Let's check out the list! Let's get the obvious pick out of the way first. It's not a surprise to me that Citizen Kane was replaced at #1. It's been there for 50 years, and there's a growing backlash from younger viewers. The shock is that it was replaced by Vertigo, which is considered a classic but not on the same scale. I have mixed feelings about the film despite a great performance from Jimmy Stewart. It's not one of my favorite Hitchcock movies, but I understand the acclaim. Even so, it's still a stunning move to see it topping the entire list. In previous polls, votes for multiple films in a series were combined into one entry. I'm not sure this is best, but it helped to place The Godfather and its sequel at #4 in 2002. 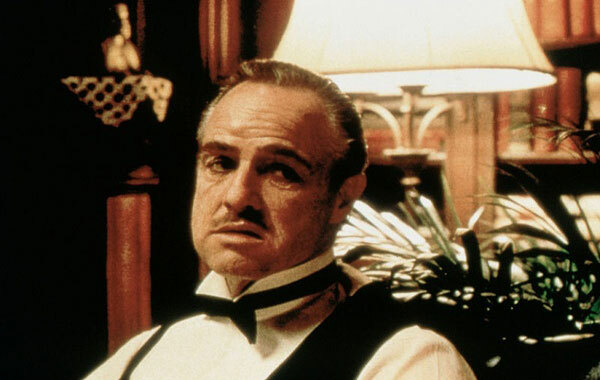 While it remained on the Director's Poll at #7, Francis Ford Coppola's epic slipped to #22 for the critics with its sequel at #31. This is quite a tumble and places it behind many European art films like Persona and The Mirror. I'm not saying it's better than all of those choices, but it's still quite a change to see such an acclaimed film down that far. Looking on the positive side, I was surprised by the positive results for two excellent films released at the start of this millennium. David Lynch's Mulholland Drive is a divisive movie and can be confusing, but it's hard to deny its visceral power. Its placement at #28 is remarkable and a reflection of the impact of younger voters. 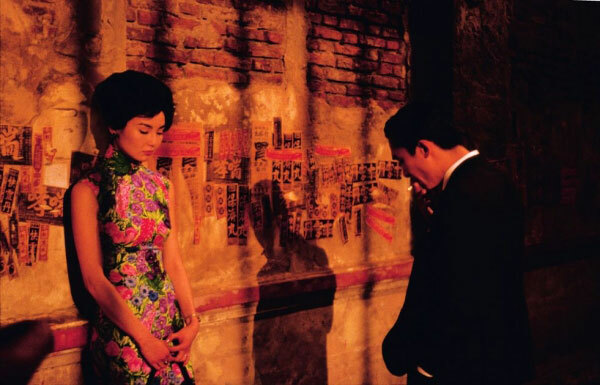 Sitting four spots higher at #24 is Wong Kar Wai's In the Mood for Love, a stunning look at romance and depression in the 1960s. While it's not a shock to see it on the list, it's great to see it this high. I expect that appreciation for this visual masterpiece will only grow in the upcoming years. While I understand that some critics believe Charlie Chaplin is overrated, it's remarkable to see him almost completely shut out from the list. It's clear that the voters appreciate silent films, but their tastes veer more towards dramatic work like The Passion of Joan of Arc than comedies. Even Buster Keaton's The General only checked in at #34. While I wouldn't dispute the placement of those silent films, it's a surprise to see a dismissal of Chaplin and Keaton. They made frequent appearances during the early polls, but newer releases have pushed them further and further down the rankings with each poll. There are plenty more head-scratching appearances on this list, but I'm going to close my thoughts by spotlighting a fun inclusion. Even though it's tied for the last spot, I still think it's pretty damn cool that Chris Marker's short film La Jetée made an appearance. Although it's mostly known for inspiring Terry Gilliam's Twelve Monkeys, there's plenty to like with this 28-minute picture. It's shot in black-and-white and composed almost entirely of still photographs, yet the story completely works. Amazingly, Marker finds a way to make us care about the relationship a lot more than we expect. Even just getting a mention on this list should help to boost the growing popularity of this excellent short film. I'd love to hear your thoughts about this list. What were your biggest surprises from the Sight & Sound list? Do you think that Vertigo deserves its top spot? Are your favorites up there? You should also check out the archive of past Top 5 Lists if you've missed them. Tyler, it's sad but I haven't seen either one of those films yet. They're among the 17 on the list that I haven't watched. I may need to do another marathon in the future! That's a cool benefit of this list: another way to drive me to seek out films I might not pursue. Thanks! I'm not looking at the list really, it's never been something to be overly bothered about because all lists are always wrong, even my own. But from your post I'm actually surprised that there's a backlash against Citizen Kane, how anyone can watch it and not appreciate what it did in terms of evolving cinema is beyond me. As for La Jetee it should be higher up the list, the fact that it was made available on DVD packaged with Sans Soleil is probably the major reason for the justified uptake in awareness and ideally by the time the next one comes around even more people will be aware of its importance much in the same way you anticipate the reaction to In The Mood For Love will be. 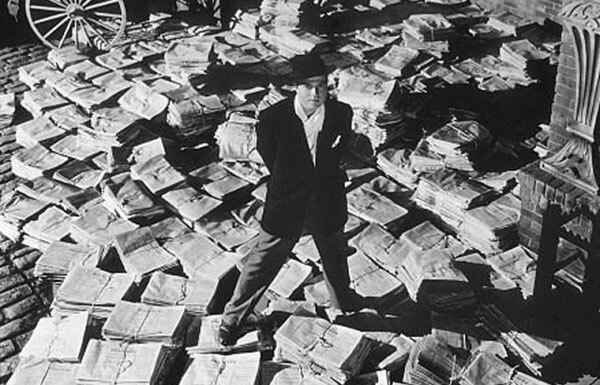 Citizen Kane still is #2, but I do get the sense from both bloggers and critics that it's not placed on such an exalted status by many. I wonder if it will drop further in 2022. 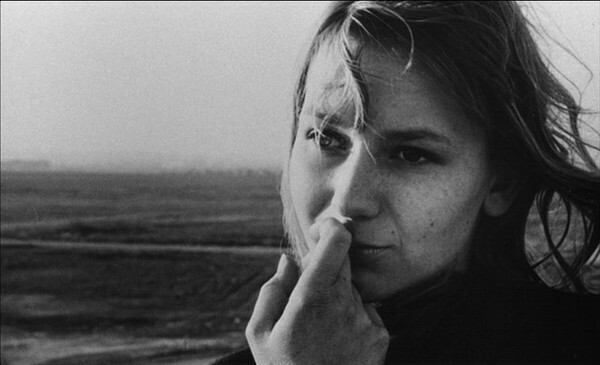 I also caught up with La Jetee on the DVD with Sans Soleil when it was first released. Both are stunning movies. You may be right that it could move up further as more people see it. LA JETEE director Chris Marker died at the age of 91 on Monday, just a couple days before the list was announced, so it's pretty cool to see the list bookended with one of his films at #50 and his favorite film, one that he'd discussed eloquently in many different forums, including in SANS SOLEIL, at #1. I didn't realize that Marker died this week. That's interesting timing about both La Jetee and Vertigo hitting those spots on the list right after he died. I don't mind that Vertigo replaced Citizen Kane, or even that The Godfather fell from the top 10. But that City Lights position is quite disappointing. Still, at least it made the list. Josh, that was also disappointing for me. I figured it would at least be the top 20 or so given Chaplin's importance. I'm amazed that it's his only appearance. I love City Lights, so much so that it was in my most recent Top 10 Favorites. I think it deserves much better than #50, and Modern Times deserves to be on the list, as well. I heard The Third Man also slipped off the list. I didn't even notice that The Third Man was missing. Wow! When I saw that City Lights was #50, I figured that the Gold Rush or Modern Times was likely higher. I can't believe he's been dropped so far by the voters. I was shocked at how many films on that list I hadn't even heard of. Oof. Just another reminder as to how many classics I still need to see. Eric, I've heard of most of them, but there were a few that were new ones for me. I went through all of Roger Ebert's first Great Movies book before I started the blog, and that knocked out some of these. Even so, I'd be lying if I said that I knew anything about Mirror, Shoah, Journey to Italy, and a few others. It's a good thing, though. I feel like there's never a shortage of interesting films out there. Yeah, I don't mind Vertigo topping Kane, I love both films, though Kane is #5 on my list and Vertigo #15. 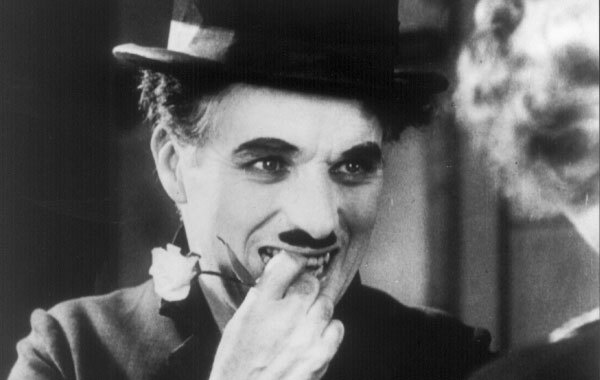 My biggest disappointment was, as many seem to agree with, the drop of Chaplin and City Lights (#18 on my list). This list has always had a fondness in my heart. The 1982 version of this list was the one that brought so many as-of-then unknown films into my budding cinephiliac life. Rules of the Game, Seven Samurai, Singin' in the Rain, 8 1/2, Potemkin, L'Avventura. And then going back to past lists and finding things like Bicycle Thieves, Persona, Wild Strawberries and Louisiana Story. Hopefully newer generations of cinephiles will find many of the films on this list (even if they are down at number fifty) and have their love of cinema grow because of it. Kevyn, I'm also a big fan of this list, even with some of the disappointments like City Lights and a few others. It was the inspiration for me to finally catch up with Sunrise, Tokyo Story, and Rules of the Game this spring. I'm planning on trying to start watching the ones that I've still missed in the future. Compared to something like the IMDB Top 250, this is definitely a better way to check out some of the most influential movies of all time. I haven't seen either Citizen Kane nor Vertigo, but I'm more intrigued by the latter. I still need to watch 'Kane' though, so maybe I'll watch the two back to back and compare, ahah. Ruth, they're both such different films that it's so hard to even compare them. Kane was a groundbreaking movie in so many ways, but it can be tough to judge today on its own merits. 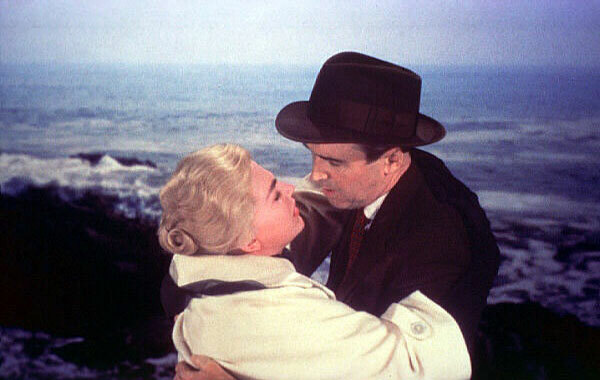 Vertigo isn't a typical Hitchcock or Jimmy Stewart film, so that can be tricky. Regardless, I'd highly recommend that you check out both films. I don't really agree with the placement of Vertigo, but it's still a must-see for sure. I have a hard time judging the list because I haven't seen (or heard of) many of the foreign films. If this were a top 50 list of classic Hollywood movies, I'd be more able to participate. I like VERTIGO, but I can honestly think of maybe 5 other films that would be more appropriate in the number one spot. Strange. Margaret, I think there are a ton of interesting films on this list that are worth checking out. It's tough to judge what's truly "greater", especially since the votes are coming from more than 800 participants. Only a small portion actually voted for Vertigo, but that was enough to put it in the top spot. All big surprises indeed. Although number 2 is by far the most shocking to me. I mean, number 50?! I agree. My Top 5 wasn't strictly ranked as much as some in terms of real surprises. I kept scrolling down looking for City Lights and figured I must have missed another Chaplin somewhere. It's stunning to see how much he's fallen in critics' eyes.